Organization Development is concerned with using planned and systematic approaches to help develop more effective organizations. This is done by taking an objective look at how an organization is operating, gathering information and then deciding on the most appropriate action to help that organization change and develop. 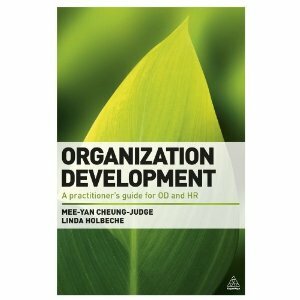 Written by two of the leading experts in the field, Organization Development defines OD and describes how it can be used effectively in today’s economy to create organizations which maximise organizational capability. The authors provide practical advice on using diagnostics techniques to identify an organization’s needs and explain how to use them across a range of areas including; change, culture and organization design. Bridging the gap between theory and practice, Organization Development provides a wealth of helpful advice for OD practitioners, HR professionals and those with an interest in helping develop their organization.